Indeed the Old Testament overflows with allusions to the New, but I never saw most of them until I started looking. It seems the New Testament is not so much a redefining of the teaching found in the Old, but a refocusing on what’s already there. 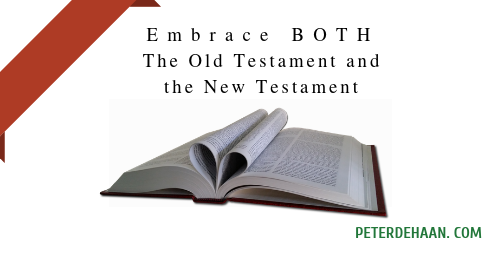 In a similar manner, the New Testament is full of references to the Old. Some of these appear directly, while many more are subtle and not so easy to spot. Sometimes a thorough understanding of the Old Testament is required to fully appreciate the nuances of the New, while other times a thorough understanding of Hebrew practices and ancient traditions is needed. As we comprehend more about what is really in the Old Testament, the New becomes more significant. As we know more about what the New Testament says, the Old becomes fuller. They are opposite sides of the same coin, not two disparate teachings. Embrace both.